The Sherman Brothers (Richard and Robert) wrote more motion-picture musical song scores (Mary Poppins, Chitty Chitty Bang Bang, The Jungle Book, Charlotte’s Web among them) than any other songwriting team in film history. Producer, director, screenwriter Larry Cohen is most famous for the mutant monster baby movie It’s Alive. 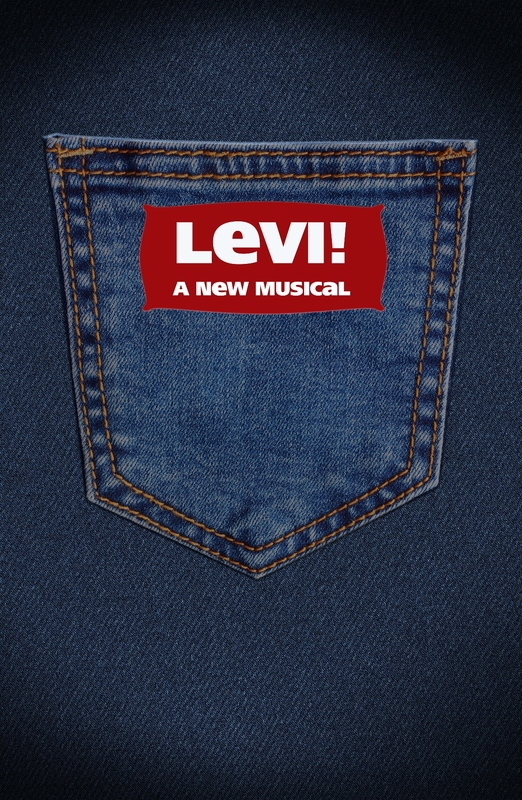 In the early 1980s this unlikely trio came together to write a stage musical based on the life of tailor/dry goods magnate Levi Strauss. The show never got produced; it never even got a reading. In 2016 Richard Sherman brought the material to the attention of producer/director Bruce Kimmel to ask if a reading could be mounted for the piece. Kimmel exceeded Sherman’s hopes and after some reworking of the script, Levi! received its World Premiere on November 17 at the Camino Theatre as a co-production of the Los Angeles City College Theatre Academy and Kritzerland Entertainment. The show may not be ready for the Broadway stage but it does have its charms. 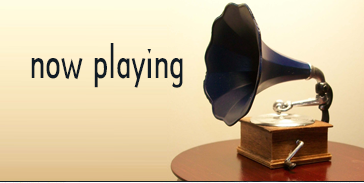 The musical score is typical of the Sherman Brothers’ oeuvre and includes a mixture of uptempo tunes “Pay Dirt” and ballads “The Dream I Must Not Dream” along with the signature hummable catchy “Opportunity” as well as a stirring anthem “Look How It Adds Up.” The book, co-authored by Janelle Webb Cohen, which looks at America’s treatment of immigrants in the 19th century (European Jews coming to New York and Chinese coming to San Francisco) seems very up to date at times. It traces the life of Levi Strauss, who left Bavaria because of the strictures placed on Jews, to come to America and enter the dry goods business his relatives had established in New York’s lower East Side. Levi is sent west to represent the business in the booming gold country of northern California. Fleeced of his inventory of goods, except for a ton of blue sailcloth, by some unscrupulous businessmen he prospects for gold along with some Chinese immigrants, inadvertently designing the nearly indestructible Levi blue jeans. His romantic dreams of heading a family of “Seven Beautiful Children” never materializes as his six-month shipboard romance with the lovely Sarah ends with their arrival in San Francisco and her arranged marriage. 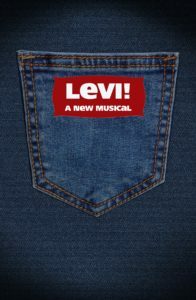 At times the show feels a little like the musical Rags and the musical Ragtime although Levi! was written before both of them. Levi! as it is now constituted does not deserve the exclamation point in its title. 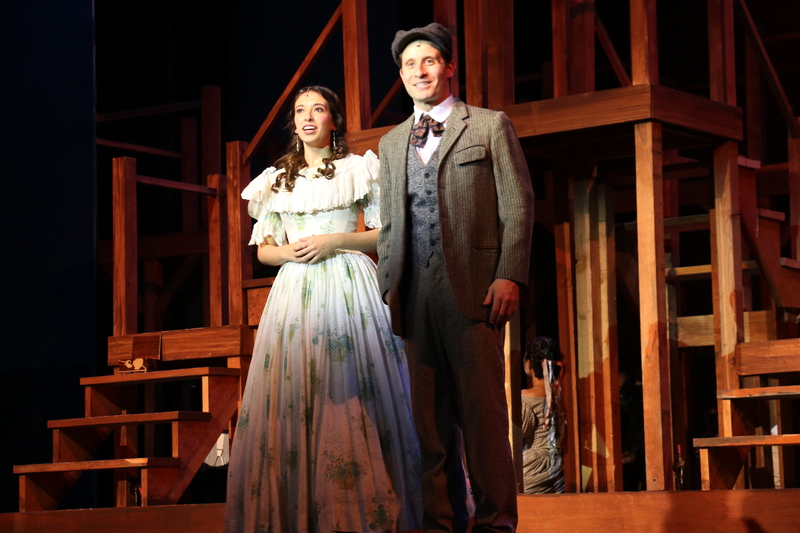 It’s not that exciting a life to portray in a two act musical but the young student cast gamely gives it their best. Guest Artist Marc Ginsburg ably carries the show on his more than capable shoulders; his character is seldom off stage. 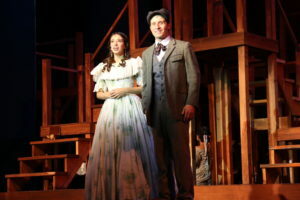 He displays the dramatic heft, the comic timing and the strong singing voice to make Levi the centerpiece of the show. Rachel Frost brings a lovely and bittersweet presence to her role as Sarah. Tristan Kim and Prisca Kim add solid support as two of the Chinese immigrants Levi sponsors. Kimmel’s direction keeps the action flowing smoothly through the show’s many scenes. Kay Cole contributes a few light touches of choreography to a couple of numbers. Musical director Richard Allen does a fine job leading the seven-piece on-stage band. 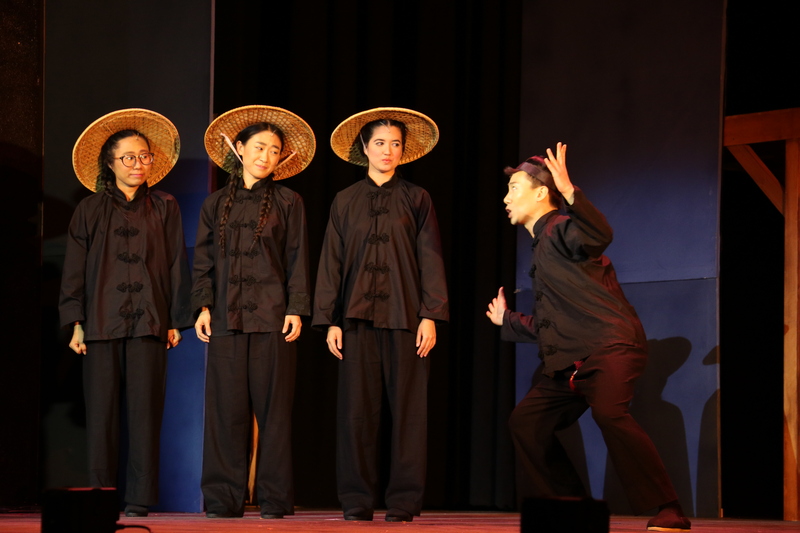 The costume design by Morgan Gannes is a big plus for the show, especially evocative in the Chinese Opera inspired burning of Chinatown sequence in Act Two. As with most stage biographies, liberties were taken with real life events, but there were two instances that really niggled my logical mind. The 1853 miners sing about “the golden spike” which was not driven into the ground to unite the transcontinental railroads until 1868. After jumping the action ahead 20 years, circa 1873, a character comments that a war may soon be fought in America over the racial issue. The Civil War ended in 1865.